Thank You Steve Jobs and Apple. I'm sorry for the loss. A lot of you may not know that I grew up in Cupertino and as such would say now that I know, that explains a lot. Apple a big presence in our town. We used to ride our bikes through infinite loop cause its infinite (good for racing), and had great speed bumps to jump off of. Apple was kind to our neighborhood schools and I had awesome Apple computers in our labs while growing up which to some, would explain why I know so much about computer related things. I would agree and say that it did play a great part in my life, and for that I am thankful for Apple, and Steve Jobs continued drive to have his products have a place in education. The skeptical may say, he was after the school budget, but if that was so great, why do very few other computer companies offer education discounts and encourage school usage and set-up. Everything I have always read about Apple and Steve Jobs has always been consistent with admiration towards the future youth of America and empowering them to "think different." I was one of the lucky elementary/jr. high students to feel aid from Apple, and I want to say thank you to them, and Steve Jobs. 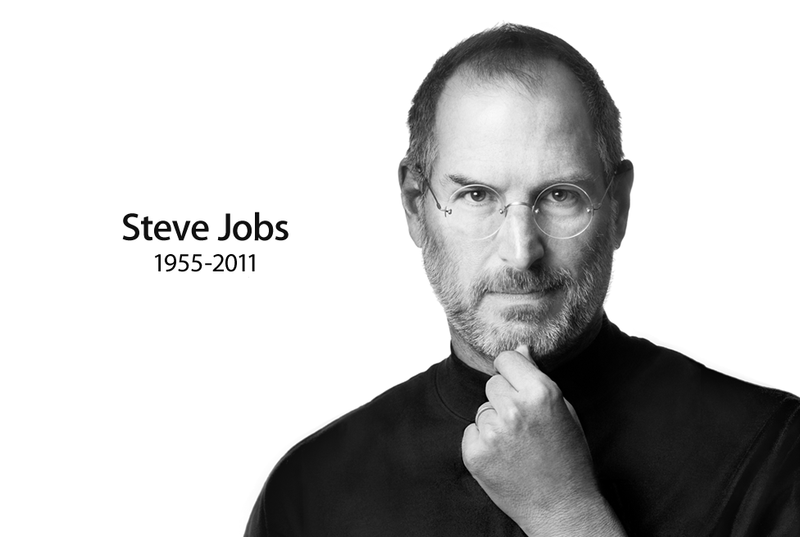 We have lost a great innovator, thinker, and creative genius. I have always been a big fan of his (see previous postings) and admire his hard work ethic, drive for perfection, and astonishing vision. Everyone agrees, he will be missed.